DAR ES SALAAM, Sept 11 (APP/AFP) – At least 13 people were killed and 203 injured in northwest Tanzania when a 5.7 magnitude earthquake hit the country Saturday, local authorities told AFP. Residents of Bukoba had said earlier that some houses there had caved in, and Augustine Ollomi, the Kagera province police chief in charge of the Bukoba district, had said “rescue operations are ongoing”. 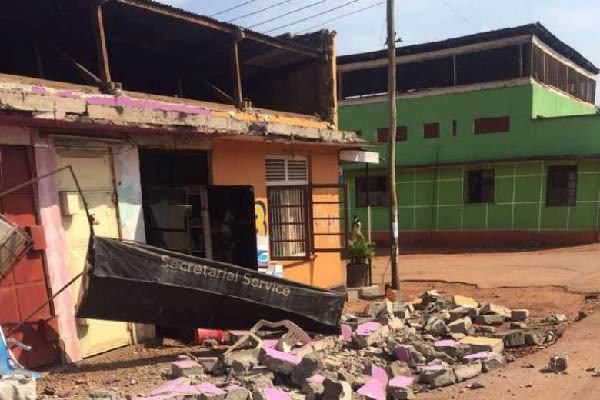 The epicentre of the 1227 GMT quake was about 25 kilometres (15 miles) east of the north-western town of Nsunga on the border of Lake Victoria, according to the US Geological Survey. An AFP correspondent in Dar es Salaam whose mother’s family lives in Bukoba said 10 family houses had collapsed. The quake rattled the entire province of Kagera. Parts of Mwanza region further south also felt the quake but there was no impact, he said. No damage had been reported in the economic capital, Dar es Salaam, which is located some 1,400 kilometres southeast of Bukoba. “Emergency operations are poor and the government isn’t saying anything,” he said.